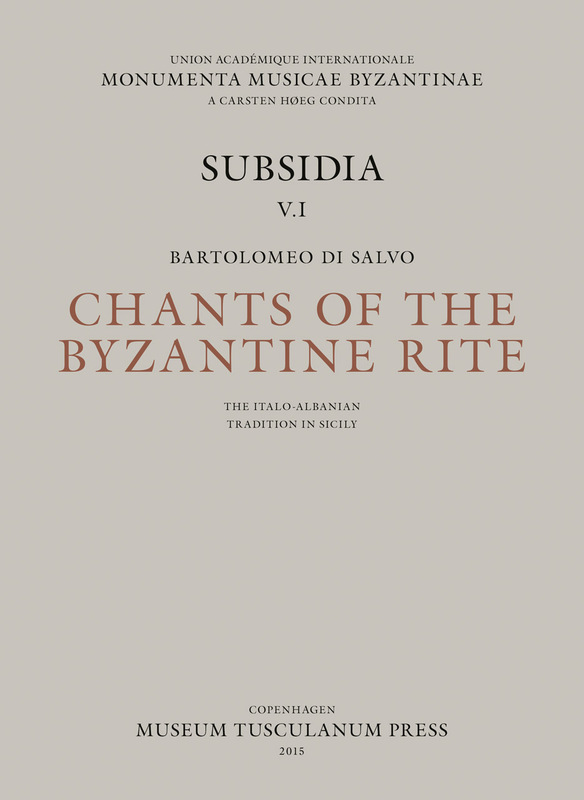 This book presents for the first time the complete chant repertory of an orally transmitted collection of church hymns for the celebration of the Byzantine Rite in Sicily. Cultivated by Albanian-speaking minorities since their ancestors arrived in Sicily in the late fifteenth century, this repertory was transcribed by Bartolomeo di Salvo, a Basilian monk from the monastery of Grottaferrata, and is presented here in English, Italian, and Greek. Divine Office – Hesperinos, Orthros etc. List of chants included, recording date, performers, chant texts, etc.